Editor's Note: The Bible isn't exhaustive when it comes leadership, but good leadership principles will resonate with it. We asked Matt Perman to suggest books to help us think through theological and practical issues that every leader faces. Five of these books are from an explicitly Christian perspective, and four are from the secular arena. I know that nine books is a lot, so after reading these recommendations, I suggest picking up maybe three or four of them. Pastoral leadership is different (but not totally) from leadership in general. Carson brings out what is unique about leadership in Christian ministry. He shows how the cross is not only the message we preach, but also must affect the way we preach and minister. To proclaim a crucified Messiah means that it is “preposterous to adopt a style of ministry that is triumphalistic, designed to impress, [or] calculated to win applause” (p. 38). A highly readable and very insightful primer on leadership based on the fundamentals of how Spurgeon led. It therefore has the best of both worlds: it covers the main areas of leadership from an explicitly Christian perspective. This book covers a lot of helpful ground, from competence and confidence to calling and character; casting vision and building commitment to leading with creativity and compassion. It also covers leading despite criticism and conflict and dealing with illness and depression—looking at all these things from the lens of how Spurgeon led. This book gives you a good overall picture of leadership by looking at five essential components: competence, courage, clarity, coaching, and character. Stanley gives a biblical perspective that takes into account—in the right way—some of the most helpful insights from the secular arena on leadership. This book has been around for a while, and for good reason. 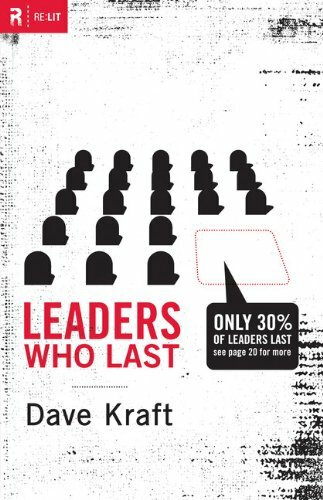 It is a powerful, easy-to-read look at the nature of leadership by focusing on the top ten mistakes leaders make. One of the most helpful points Finzel makes is the problem with autocratic leadership. Top-down leadership is based on control. It gains compliance but not respect or true engagement. It is typically exercised for the benefit of the leader. True leadership, on the other hand, is about using one's influence for the good of others. Leadership is about serving and building up those whom you are leading. This is best done through influence and freely winning consent, rather than primarily through exercising control. Now we move into some secular books that I would recommend (and by “secular” I simply mean not written from an explicitly Christian perspective). They are still incredibly valuable because there is much in common between leading as a pastor and leading in general. There isn't total overlap, but there is enough for the right books on leadership in general to be helpful. And these books that I am recommending grow firmly out of the soil of an overall Judeo-Christian worldview. Further, these books will help give pastors helpful insights they can pass on to those in their congregations who are in leadership in the secular arena (either through position or influence). Knowing about leadership in general, in other words, can help pastors guide and shepherd their people better in all the various arenas of life in which they live and work. One last issue to address here: Sometimes people have a stereotype that secular books on leadership are all about learning how to advance yourself and climb the ladder of success. Not so. Sure, some books do have that focus. But those are usually the poor, unhelpful books that aren't even good in the secular arena. The best books, such as these, see leadership as serving others first, not yourself. They stress making a contribution and giving more than you receive. In fact, their emphasis on this is so strong as to be noteworthy. Christians have a lot to learn from the emphasis on service that you find in the best secular books on leadership. This book has one chapter on leadership, and it is one of the most helpful things on leadership I have ever read. Leadership often seems like an ambiguous concept, and many books overwhelm us by giving a list of 20 traits that all leaders need to develop. Buckingham cuts through this complexity and shows that the essence of leadership is simple: leaders rally people to a better future. To do this, the most important thing a leader needs to do is be clear. Buckingham also looks at the three disciplines that all effective leaders seem to have and does the best job of defining the difference between leadership and management that I've seen. This is a short, very readable book. I love his points that genuine leaders “lead through their relationships with people, as opposed to their control over people; persuade others to contribute, rather than order them to; and get others to follow them out of respect and commitment rather than fear and compliance.” It's not that there is no place for authority, of course; it's rather that leadership is not about lording it over people (Matthew 20:28; 2 Corinthians 1:24; 1 Thessalonians 2:1-12). Throughout the book Sanborn focuses on how leadership is about contribution and making a positive difference, rather than benefiting yourself. 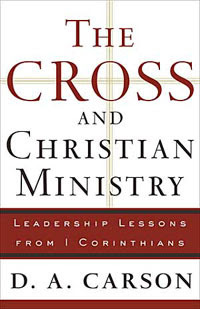 “The whole purpose of leadership is to serve” (p. 85). Many would probably differ with a few of Giuliani's positions on certain other issues but his leadership abilities stand out. Giuliani's insight comes through the fire of real-world experience, including the tragedy of 9/11. I especially appreciated his chapters on preparing relentlessly and studying, reading, and learning independently. He also makes the really superb point that “leadership is the application of beliefs to real world situations” and that leaders need to “organize around a purpose.” He also has great thoughts on loyalty, decision making, and standing up to bullies. Collins is mostly known for his book Good to Great. But his best book, in my opinion, is actually the one he wrote before that. 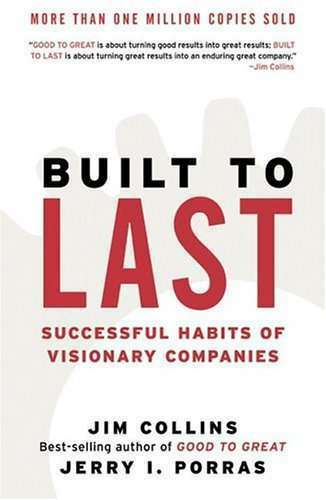 Built to Last is about what makes organizations enduring—and, more than that, worth enduring. This book is for those involved in leading large organizations. If you lead a large church or a ministry, get this book and read it before the end of the year. Other than having a first-rate personal mentor, there are few better places to learn about how to lead large organizations well. It is true that Collins was primarily writing for the business world, but you will be surprised at how many of the principles Collins recommends for businesses actually echo what you would expect to find in the nonprofit arena. You will learn about the important dynamics of “preserve the core/stimulate progress,” “try a lot of stuff and build on what works,” the importance of building an organization that is not based on a single personality, and how to lead organizations in a way that brings out the best in people, maximizing their freedom while providing an overall context that gives clarity and accountability. Collins shows that leading from values, not rules, is the key to leading any organization in a way that also builds people up and unleashes their energy in all sorts of creative ways in the direction of the mission. Collins's book is simply good, human, common grace sense—backed by research—and it is not hard to make the translation to organizations in general.